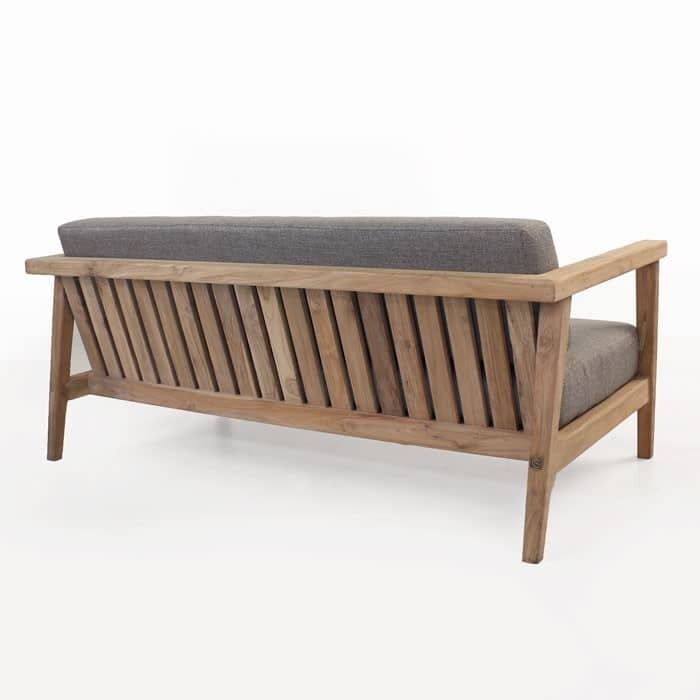 The Gommaire Copenhague Reclaimed Teak Loveseat is a beautiful addition to any space, with its smaller footprint and the rustic good looks. 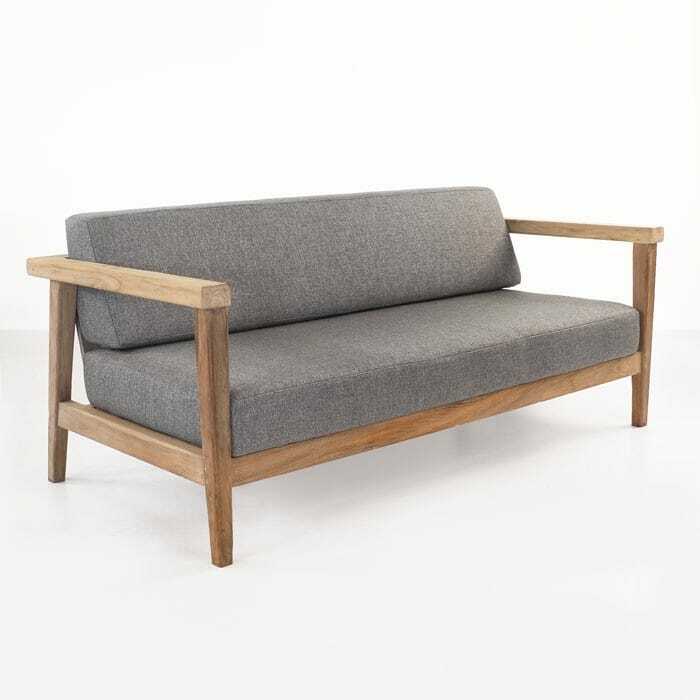 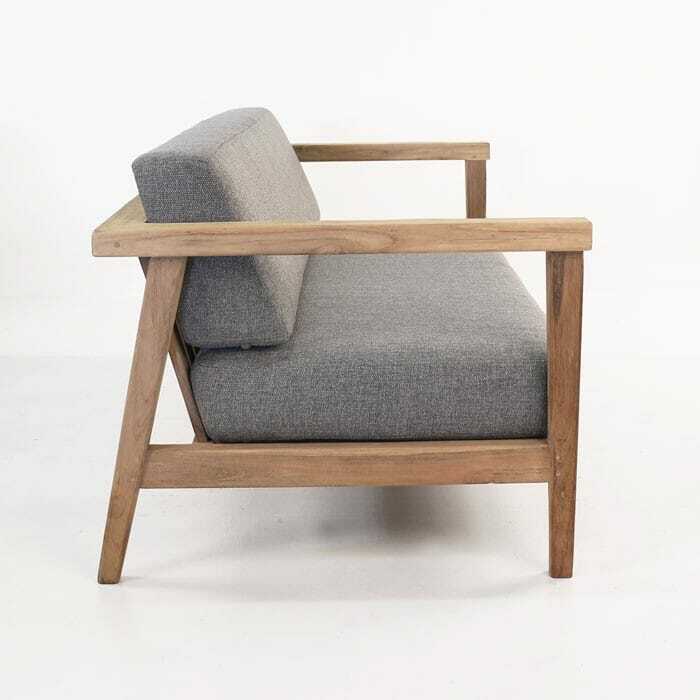 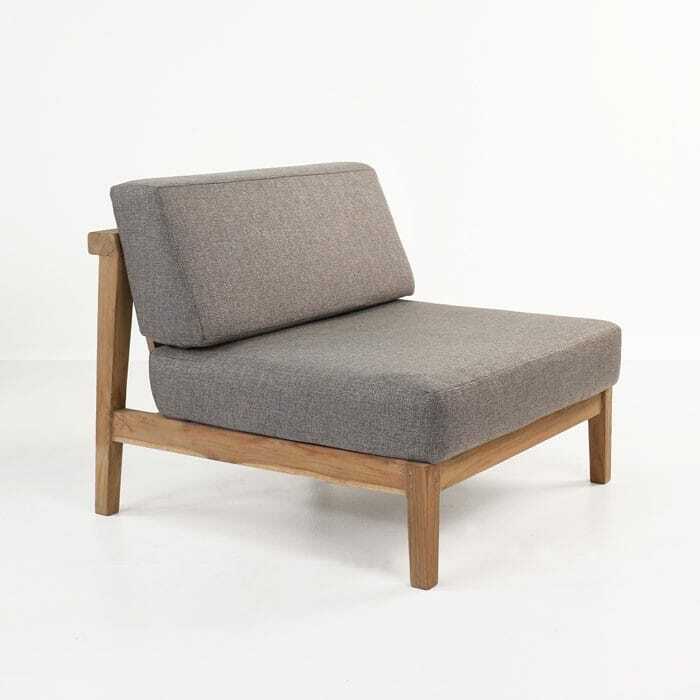 Made with premium reclaimed teak and stunning Italian fabrics with a gorgeous contrasting color profile between the silvery-brown color of the teak and the cool medium grey tone of the fabric exclusive to Gommaire. 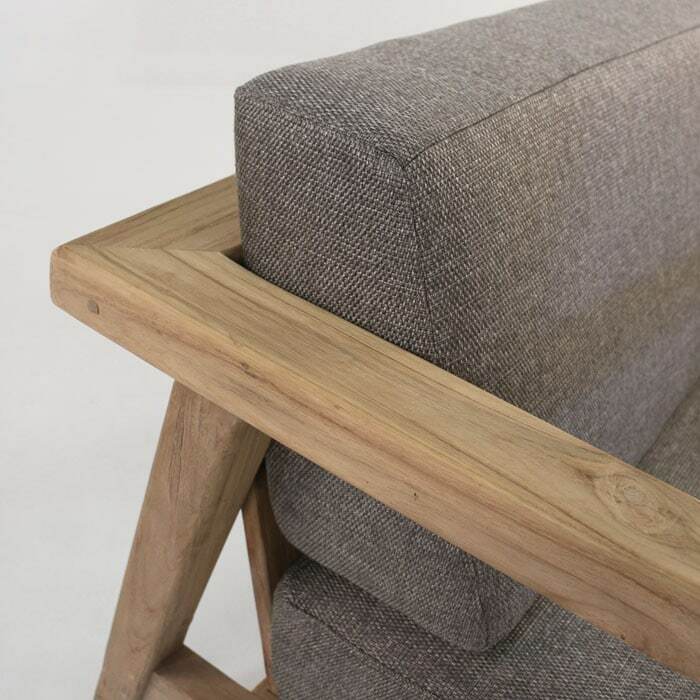 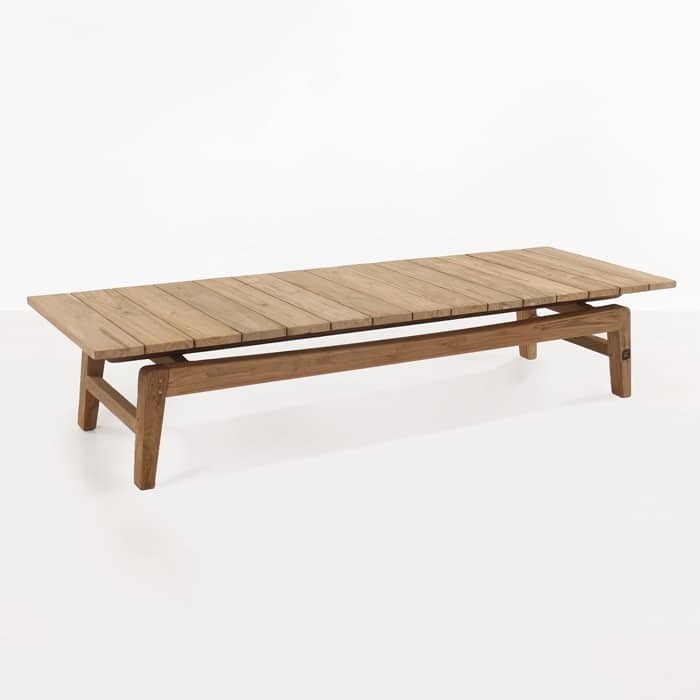 The frame is angled back for comfort in the seating area, and the stylish look is made from a large amount of pristine reclaimed teak. 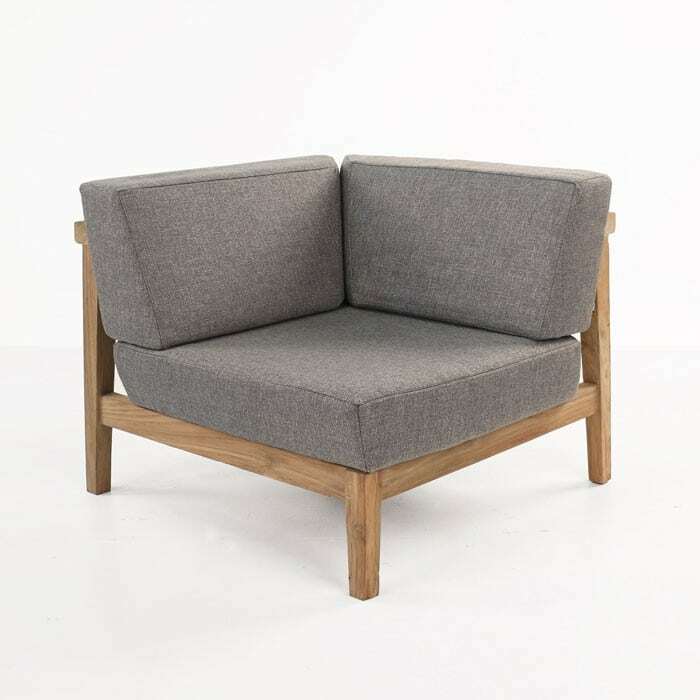 This high end Italian Limonta outdoor fabric comes included in the price with all Gommaire deep seating as shown, this designer has detailed this requirement for this range.